High Atlas Essaouira tour: Private travel tour from Marrakech that explores the high Atlas mountains countryside, Essaouira and the busy city of Marrakech. A trip for anyone wanting to discover the real Morocco. The tour covers stay in Marrakesh, the stunning Atlas Mountains and Essaouira, the magical coastal town. Upon your arrival to Marrakech, your driver will help you reach your hotel or riad where you are staying. After breakfast in your Hotel, you will have a guided tour of Marrakech. The tour will stop at many attractions, including the Menara Gardens, a scenic pool with beautiful flowers all around, the Koutoubia Minaret, the Saadian Tombs, the Museum of Dar Si Said, and the Bahia Palace. Overnight in the Hotel. After breakfast, we will leave Marrakech and venture into the mountains of High Atlas, where the Berber villages are located. The day will be full of exploring the lovely countryside and the valleys around the mountain area. The tour leads to the fantastic location of Kasbah of Toubkal. From here we will enjoy our lunch and scenery from the terrace, overlooking the views of Toubkal. After lunch, the tour will head towards the town of Imlil, which is a smaller village still located in the Atlas Mountains. From there it’s back to Marrakech to get some much-needed dinner and rest. Enjoy your free time at the beginning of the day, then prepare for lunch and a stop at the Argan Oil Cooperative. You will see how the Argan nuts from the forest all around Essaouira are transformed into oils or soaps. We will end the day back in Marrakech. Today is your day to enjoy exploring the city of Marrakech personally. We recommend checking out the Koutoubia mosque and Djemma El Fna – the central area of the town. The vibrancy of the city is breath-taking, and there is something for everyone to enjoy. Enjoy your breakfast and prepare for your trip back to the airport. End of High Atlas Essaouira tour. 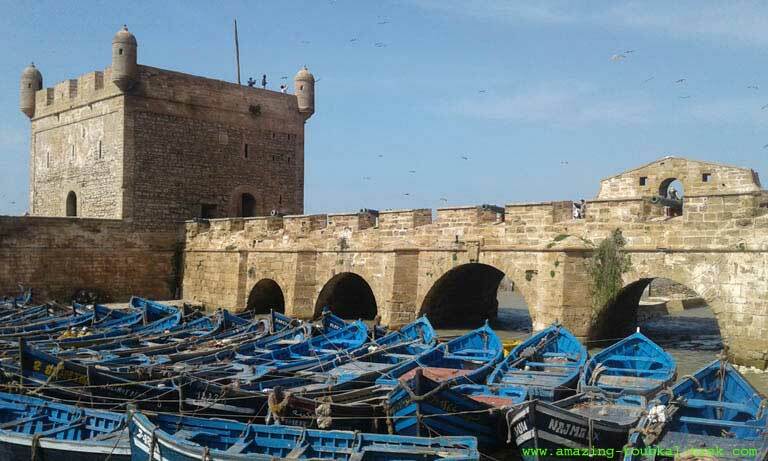 – This high Atlas Essaouira tour is available and can be arranged for groups of all sizes. 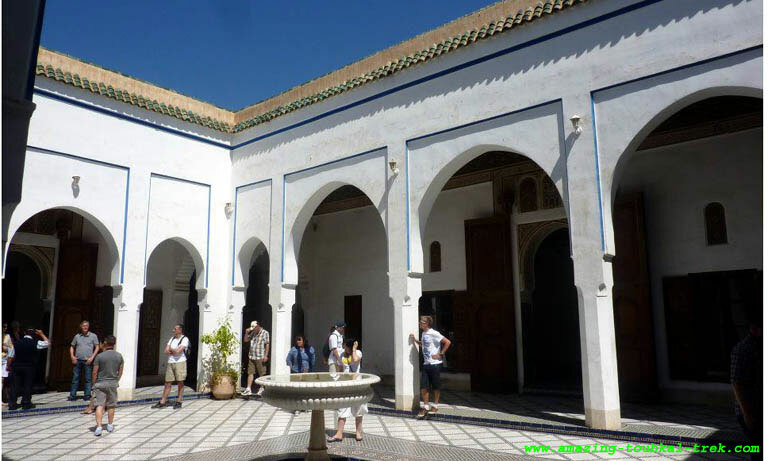 High Atlas Essaouira tour: Private travel tour from Marrakech to high Atlas and Essaouira.